Both technology and communication after an adoption have changed quite a bit over the past 20 years. As birth mothers and adoptive parents become more “connected”, the way they communicate becomes less formal. They normally have plenty of time to get a comfort level with each other during the adoption process. Usually, during the adoption process, the birth mother and the adoptive parents will get to know each other with face-to-face meetings, letters, emails, phone calls or prenatal visits. Once the adoption is complete, contact with the birth mother can dwindle, and in many cases can be completely severed. Now with Facebook’s popularity (as well as other types of social media) and ease of use, it’s a way for both parties to have an open line of communication. Facebook is a convenient and timely way to communicate. Adoptive parents’ expressed delight over no longer needing to reproduce, print and mail pictures from their digital devices. And birth mothers were thrilled to be able to see spontaneous pictures with attached comments. 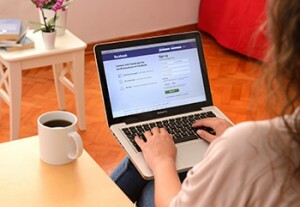 When communicating through social media, especially Facebook, often times there can be miscommunication, misinterpretation, over-analysis and hypersensitivity. So it’s important to be both smart and practical when communicating. Don’t get too close too fast; take your time to get to know each other. Build trust and create proper boundaries. Make sure the conversation is about the child and in the best interest of the child. For many open adoptions, Facebook has become the main form of communication after an adoption. So it should be used carefully with respect to both the birth mother and the adoptive parents. Will I offend anyone with my comment? Is it appropriate for Facebook, or should I communicate my response in another way? Can my comment be taken out of context? Is my comment reactive, or is it well thought out? Am I venting or is this something I really want to share? While we look at social media as a convenience and a way to share our lives with each other, many experts warn that virtual contact should be used with caution. A difficult conversation, a side comment or photo can be taken out of context causing an already stressful situation to be more challenging. Everyone should make sure to stick to common sense rules and keep an open dialogue with all parties involved. Whether you’re a birth mother or adoptive parent, and you need assistance with the open adoption process, contact Shorstein & Kelly today (904) 348-6400.